The Butter Baron and owner of Southwestern Michigan Buttery, Joe Dickman, got his start in apple butter back in the 1960's as a child growing up in Northwestern Ohio under the guidance of his father, Walter H. Dickman. Every fall, Walt, his wife Virginia and their seven kids would make apple butter using family recipes in giant copper kettles outdoors. Joe was the youngest and was an inquisitive kid, learning all that he could from his parents. Everyone loved the family's fruit butters and delighted in receiving jars of them for Christmas and Thanksgiving holidays. As Joe became an adult he never let go of those treasured family memories and recipes and after moving to Michigan at the age of 18, found that Michigan had some of the best fruit he'd ever tasted! One thing led to another and now 30 years later, the Dickman family is once again dusting off those recipes and cultivating new memories through the birth of the Southwestern Michigan Buttery. 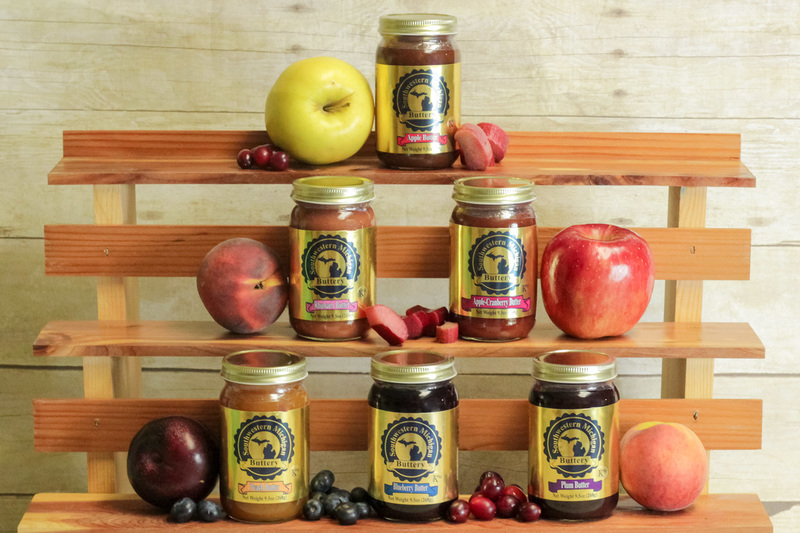 Joe and his wife Paula now have four grown girls of their own and a dream to combine the best fruit in the midwest with the best family fruit butter recipes you've ever tasted!